Users regularly come across many review websites that list NordVPN and ExpressVPN as top providers in the marketplace. What happens if you put both VPNs against each other though? Is it possible to declare a winner among the two? Well, this NordVPN vs. ExpressVPN guide will give you all the juicy details. Reviewing both providers though, reminded us a lot about the fight between Goku and Jiren from Dragon Ball Super. It is definitely a tough competition! Is NordVPN a Good Provider? Over the years, I have reviewed hundreds of different providers. If there is one constant in the industry, it would be NordVPNs persistence to be the best. The VPN covers all bases, offering amazing speeds for unblocking, remarkable privacy for P2P, excellent security for identity protection, dedicated IPs for personal use, a huge server database. In short, NordVPN is a devoted warden of online privacy. You can always trust the service with its USPs, which set it apart from the competition. ExpressVPN is a British Virgin Islands-based provider. As such, it is far away from the US and EU jurisdictions, which mandate data retention and government surveillance. This gives the provider complete liberty of hosting a ZERO logs policy (that has been verified). There was a case involving the assassination of the Russian Ambassador of Turkey. Authorities could not find any data, even after the seizing a server. The VPN does, however, store account info like name, email, and payment data. To get a better idea about the performance of both providers, we performed a speed analysis. This involved testing the max upload and download bandwidths of NordVPN and ExpressVPN. The entire process consumed a good 5 hours. It entailed testing different servers in varied countries of both providers on a 50Mbps connection. We then came up with an average on the speeds. If we talk about ExpressVPN, all servers delivered amazing performance. Albeit, those located far way had lesser speeds. The average though peaked at 45Mbps, indicating a loss of only 4%. For NordVPN, the results were quite similar. You receive good speeds for unblocking/streaming. The average speeds were 43Mbps, revealing a speed loss of only 5%. It is a tough competition, but ExpressVPN wins this one. When selecting a VPN provider, the pricing plays a major role in the decision-making process. The best services may be a little expensive, but you can always leverage amazing deals. For NordVPN, the monthly pricing starts at $11.95. This is quite expensive for many. However, you can always opt for their bi-annual subscription, which gives you an amazing 24% discount. This lowers the monthly pricing all the way down to $9.00/mo. As a result, you only have to pay $54 for six-months. The longer the duration, the cheaper the pricing. If you go for the yearly, you receive a 41% discount. This means, you only pay $6.99 month. However, if you want the best value from NordVPN, go for their 2-year plan. It gives users a 66% discount, costing only $95.75 for 24-months! ExpressVPN, on the other hand, tends to be a little more expensive than NordVPN. If you plan to subscribe to ExpressVPN, you will have three plans available: 1 month, 12-months, and 6-months. Users who go for the monthly package will have to pay $12.95. For those who go for the 6-months plan, you receive a 22% discount. This lowers the monthly pricing to $9.99, which totals to $59.95 biannually. For the best value, users can go for the yearly package, which gives a massive 35% discount. This reduces the per month pricing to $8.32, which is billed $99.95 every 12-months. There is a deal available that gives you access to the VPN for 15 Months. It gives users the ability to save a massive 49%. The monthly pricing starts at $6.67, meaning you pay $99.95. NordVPN definitely tends to be more budget-friendly, offering a 2-year subscription for $95.75, for just $4 lesser. Both NordVPN and ExpressVPN offer amazing privacy and security to users. They utilize some of the best and advanced technologies for keeping the identity of customers anonymous. NordVPN offers support for all protocols, including OpenVPN, L2TP/IPSec, and IKEv2. For the data channel, the provider uses an AES-256-CBC cipher with HMAC SHA256 hash authentication. For its control channel, NordVPN utilizes the same ciphers and hash authentication above, with the inclusion of an RSA-2048. Perfect Forward Secrecy (PFS) is setup using the strong DHE-4096 key exchange. The VPNs iOS apps, on the other hand, use IKEv2 with an AES-256-GCM cipher and HMAC SHA2-384 data authentication. PFE is provided by a DHE-3075 exchange. For users who sign up with ExpressVPN, you can expect the same strong security as NordVPN. The service supports OpenVPN, SSTP, L2TP/IPSec, and PPTP protocols. For security, you receive protection via AES-256-CBC and AES-256-GCM ciphers. The difference between the two is of something called “chosen ciphertext attacks”. AES-256-CBC uses a secure Message Authentication Code (MAC). Conversely, AES-256-GCM has built-in authentication codes, which makes the process a whole lot faster! For added security, ExpressVPN utilizes Perfect Forward secrecy via the DH-2048 Diffie-Hellman key exchange. Since both providers successfully anonymize your IP address, revealing no WebRTC, DNS, or IPv6 leakages, it is tough to decide on a winner in the privacy segment. So, it is 2 points each for now! One of the things that set NordVPN and ExpressVPN apart from the competition is its huge features list. Both providers do extensive research into adding the best and most advanced technologies in their VPN apps. So, if we talk about features comparison, the results will be the same for both. You have all the essentials available, along with advanced features in NordVPN and ExpressVPN. Ultimately, deciding the winner came down to a simple facet: simultaneous connections. Where the BVI-based provider only grants 3 multi-logins to its customers, NordVPN goes the extra mile in offering up to 6 simultaneous connections. For lesser the price than ExpressVPN, this feature definitely positions NordVPN higher. You can easily use the VPN on 6 different devices easily. Another point for NordVPN! Like we said earlier, NordVPN and ExpressVPN are two hit services of the marketplace. As such, they possess the same traits more or less, especially in terms of unblocking, privacy, and even P2P/torrenting. If you take a look at the features listing for P2P/file sharing entirely, you will notice both services offer the same privacy tools. This leaves determining the winner again from one aspect entirely. For P2P/Torrenting, this involves having a higher ratio of servers that are available for downloading torrents from around the world. NordVPN, despite offering a huge 5100+ servers in 62+ countries, only has P2P friendly servers in 28 countries. ExpressVPN, on the other hand, goes the extra mile offering servers in 36 countries worldwide. The competition is close, with ExpressVPN winning this one. However, we are still at a tie, as both providers have scored 3 points. We analyzed the performance of both providers for Netflix and China to get a better idea on their unblocking capabilities. The results we received were again quite shocking. Where NordVPN offers what they call “Obfuscated Servers” for bypassing “The Great Firewall”, ExpressVPN provides users with something similar. They call it “Stealth Servers”, which easily bypass geo-restrictions in tough countries. Both providers even offer a DoubleVPN feature. 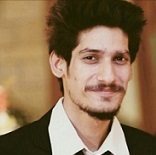 This allows users to connect to two different servers for anonymizing their identity completely. The end result of our analysis proves that both providers have the capability of unblocking American Netflix and bypassing geo-restrictions in China. Therefore, we are at another cliffhanger! It is now 4 points for each provider. It is getting kind of repetitive talking about NordVPN and ExpressVPN, because both providers are doing great in almost all aspects. If you check out their downloads page, you will find apps for desktop PCs and laptops using Windows, Mac, or Linux. Then, you have smartphones apps available for Android and iOS and browser extensions for Mozilla and Chrome. 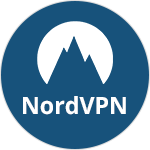 Competitors in the VPN industry should learn a thing or two from NordVPN and ExpressVPN. Both providers do a great job in delivering instant and useful customer support. You have quite a lot of options available for receiving assistance, excluding a phone helpline. Regardless, you still can rely on the live chat, email support, and knowledgebase for answers. For NordVPN, we were not the least bit surprised to receive instant replies via their live chat support system. Their representative “Christian” was very proactive and gave immediate responses to our queries with detailed answers/solutions. On very rare instances, we could not reach the live chat, so we relied on email supports, for which we received replies within an hour or two max. ExpressVPN, on the other hand, proved to be slightly difficult. Their live chat system was not as proactive as NordVPN. We checked several times in a day, where ExpressVPN was quicker to connect us to the chat system, they would often try to get us to email them the question. So, Nord definitely gains an edge in the live chat department. With regards to email support, NordVPN and ExpressVPN were almost a tie. However, we did feel that the Panama-based provider was quite direct. We had to pose a few more questions in order to get detailed replies, as we got from ExpressVPN. Nevertheless, both VPN services did send relevant solutions/answers to our queries, so that is of greater importance! In terms of unblocking VoDs and streaming sites, NordVPN tends to offer greater success. Users can easily access all versions of Netflix, thanks to the providers’ huge 5,200+ server listing. They can even unblock Amazon Prime, BBC iPlayer, and Hulu. ExpressVPN, on the other hand, was able to unblock selected versions of Netflix. These included US, Canada, France, India, and UK. For other streaming services, the provider failed at unblocking ABC, but was successful like NordVPN in accessing CBS, ITV, Hulu, Sky Go, Channel 4 and Sling TV. Both providers offer specialized servers for accessing the streaming sites above. Where NordVPN offers Obfuscated Servers, ExpressVPN provides “Stealth” servers. Though the numbers are higher with Nord, Express does not do that bad at all. Similar to our comparison guide, many user reviews about NordVPN and ExpressVPN have a “balanced” opinion about both providers. You can check this Reddit thread and our best vpn reddit guide for opinions given by customers of each provider. As you can see, there are positives and negatives for each service. The below user states that he usually opts for NordVPN, due to the many features available on the app and its torrenting capabilities. However, the Redditor prefers using ExpressVPN for his student dorm, because the provider offers more configuration on routers. NordVPN vs. ExpressVPN: Who is the Winner?? We told you earlier that this review reminded us a lot about Goku’s and Jiren’s faceoff in the Tournament of Power. You probably get the gist why! Despite Goku going MASTERED ULTRA INSTINCT (NordVPN), he was still finding it difficult to keep up Full-power Jiren (ExpressVPN) – because they were equally matched opponents. Same is the case with this battle between NordVPN and ExpressVPN.